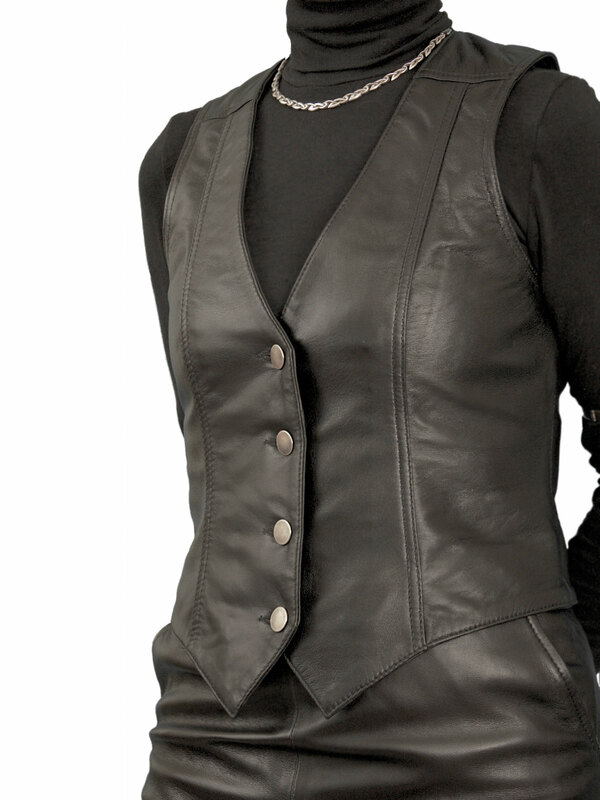 Elegant, beautifully tailored matching waistcoat and pencil skirt outfit/suit in finest quality, luxury soft semi-aniline nappa leather. This has a special waxed finish giving a subtle shading for added effect which can be seen on the cherry and tan leathers. Perfect for smart or smart-casual wear, day or evening. 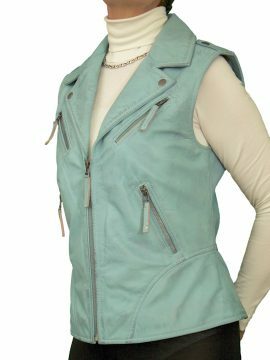 Very versatile, you can wear together as an outfit or as separate items with other accessories. 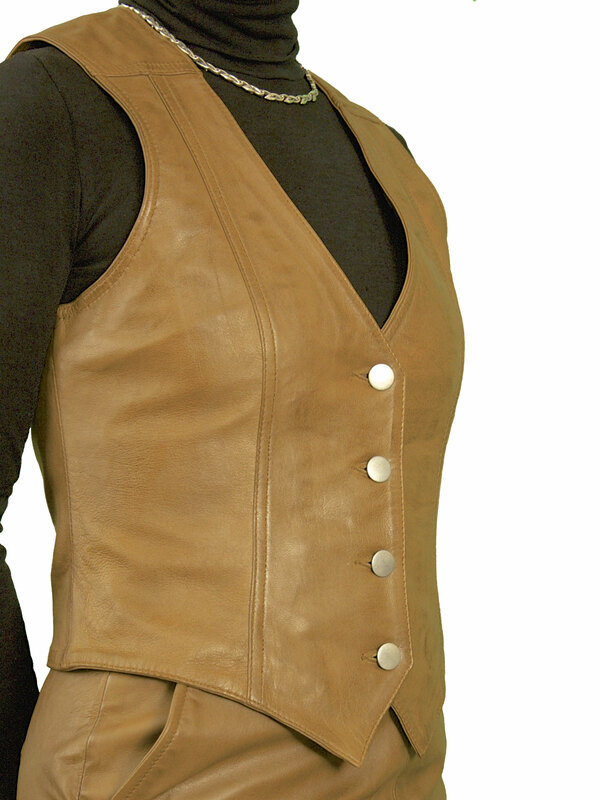 (The skirt and waistcoat can also be purchased separately.) Made exclusively for Tout Ensemble to our own design. Available in black, cherry red and tan. Please read our Product Description below for full details and important sizing information. 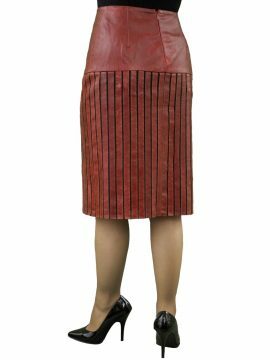 Elegant ladies leather outfit with matching leather pencil skirt and waistcoat, exquisitely tailored in luxury soft semi-aniline nappa leather. For smart or smart-casual wear, day or evening. A versatile combination as you can wear together as a suit or outfit or separately with other items of clothing. Made exclusively for Tout Ensemble to our own design by Ashwood. 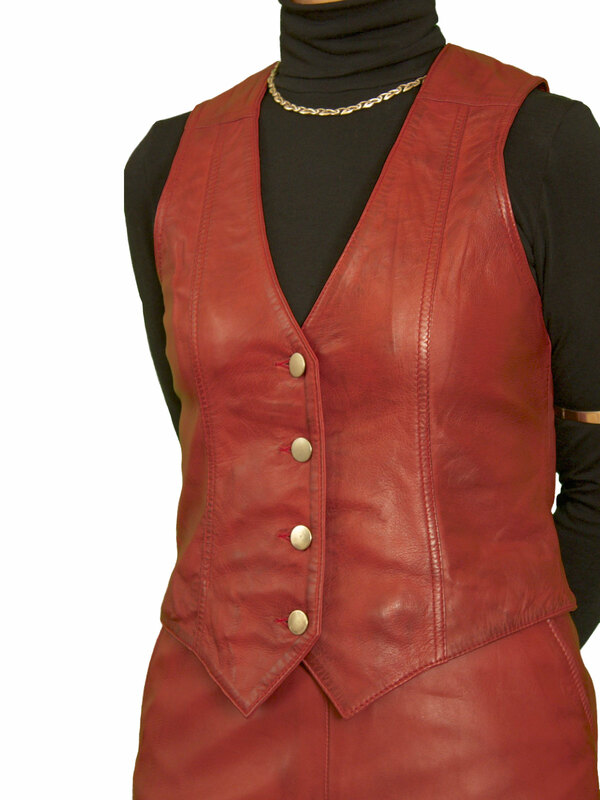 Note: You can buy the pencil skirt and waistcoat as separate items, but purchased together we give you a special price! TO ORDER: Please select your usual UK size. Our Sizing Information gives more details. Feel free to contact us if you any need any help – we are only a phone-call or an e-mail away. (RRP £229.99). 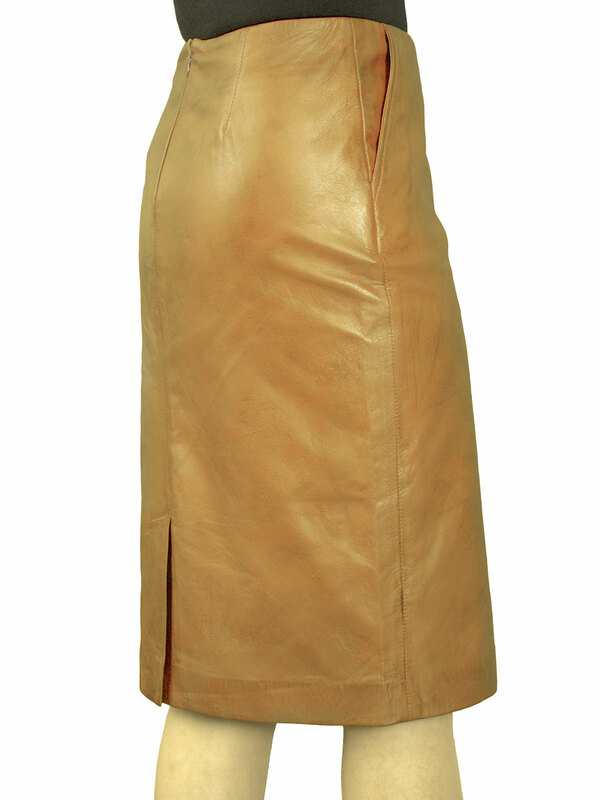 A beautiful suede leather pencil skirt in luxuriously soft, smooth pale tan suede leather, ideal for many different occasions, formal or more casual. It is around knee length (about 23in from waist) and is snug-fitting, sitting on the waist and following the curvature of the body to flatter your figure. 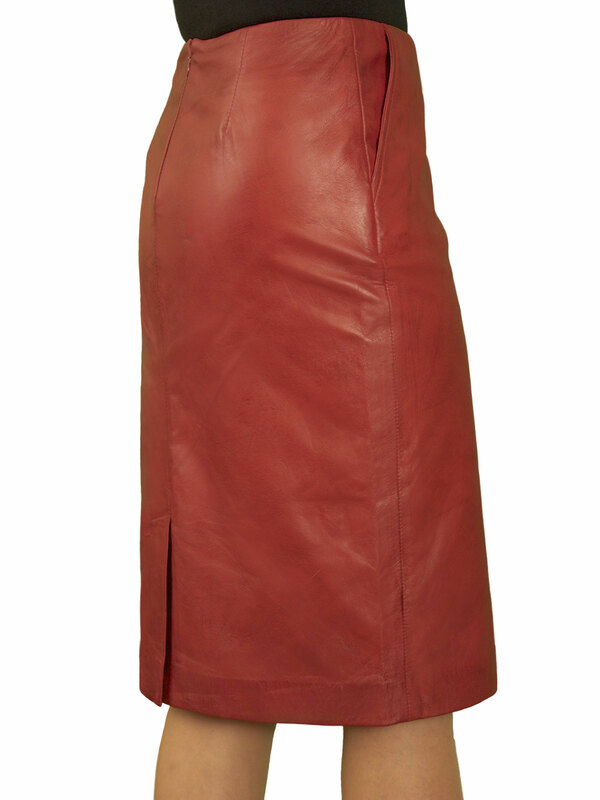 The skirt features a 8in fine hidden zip at the rear which can be left closed as part of the seam or opened to form a vent, as desired. Fully lined. By Ashwood. Please see our Product Description below for full details and important sizing information.